Home builders measure construction quality in a variety of ways, from the results of customer satisfaction surveys to the cost of warranty requests. Whatever the metric, the “quality” label can only be earned by a home whose lack of defects rewards the builder with happier customers and lower costs. Last year in Professional Builder (“What Is the Cost of Quality?” April 2017) I reported on a study that my team at IBACOS conducted on the ROI of investing in quality. The gist of our findings was that builders that make a real investment in building better-quality homes can enjoy as much as a 600 percent return. Of course, that begs the question: How, exactly, does one consistently build quality homes? The answer is that you need to help your crews understand what you mean by “quality.” Then you have to create a culture that enables them to do their best work. A good start is to define your quality expectations for every part of the job, from how you want your carpenters to flash windows and deck ledgers, to how you want the tile setter to detail the crack-isolation membrane. This means adding more detail to your plans and specs than most home builders do, but that work is an up-front investment that pays over time because you'll use those templates again and again on future jobs. But templates are just the first step. Even builders with clearly documented quality standards can find themselves plagued by construction defects because they never created the processes needed to implement those standards. Processes are crucial to quality, and the most important processes include those that get installers onboard with your expectations. Builders with low defect rates invest in processes and training focused on trying to prevent these issues from occurring in the first place. But, when issues do arise—and they will—these builders have a system to work across their extended team to address issues holistically so they don’t keep occurring. Such builders also have communication protocols to ensure that subcontractors work to spec. Say you decide to specify aluminum drip edge on all roof edges, even though it may not be required by the jurisdictions where you build. Say also that you depend on roofing subs and never know if the crew that shows up on a given job got that memo. Do you have a process for making sure they understand your expectation? The above are just a few factors that influence quality. For a more comprehensive list, check out the application for the National Housing Quality Awards. Each builder applicant is evaluated on 89 in-depth questions spread over eight categories, one of which is Construction Quality. The others range from Leadership to Process Management to Human Resources. Those 89 questions cover topics as varied as company mission and values, trade partner relationships, and customer survey results. An evaluator visits the company to provide the builder with feedback on how to improve its scores in each category. 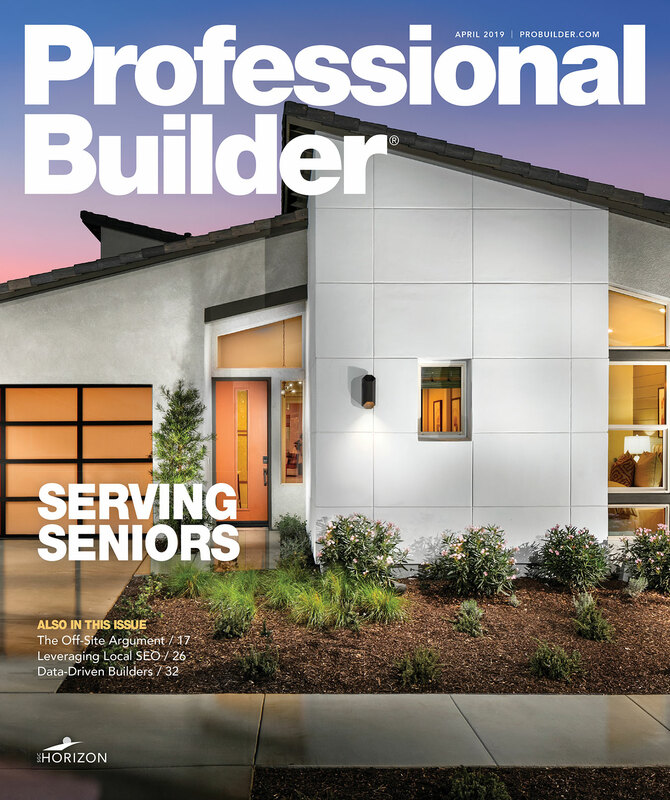 Builders that have gone through the awards process and acted on the feedback say it does more than just help them build better houses—their companies also end up being better managed with higher profits, fewer headaches, and less drama all around. That’s actually the point. The message is: If you want to build great homes, you need to become a great company. As we have done in the past, we’ll use this column to help you build better homes—addressing technical topics and focusing on the nuts and bolts of how you can achieve a higher level of quality… and in doing so, exceed your customers’ expectations while adding to your bottom line. Glenn Cottrell drives quality and performance in home building as managing director of the PERFORM Builder Solutions team at IBACOS.